Penlan Holiday Village Holiday ParkPenlan Holiday Village is situated in twenty-four acres of picturesque woodland, parkland and picnic areas just outside of Newcastle Emlyn, south-west Wales. The lodges sleeping between 4 and 6 are based on a Swiss award winning design, making them ideal for family holidays. Penlan is an excellent base for families to explore this very beautiful and unspoilt part of Wales. Penlan Holiday Village is situated in twenty-four acres of picturesque woodland, parkland and picnic areas just outside of Newcastle Emlyn, south-west Wales. The lodges sleeping between 4 and 6 are based on a Swiss award winning design, making them ideal for family holidays. Penlan is an excellent base for families to explore this very beautiful and unspoilt part of Wales. The countryside and sandy beaches of West Wales are amongst the very best in the United Kingdom and if you enjoy peace and quiet then this the holiday for you. You can explore the historic castles and market towns, take a boat trip or ride on a steam train, visit local craft workshops, museums and galleries or watch the seals, and occasionally dolphins, in their natural habitat off the Cardigan Bay headlands and beaches. For the young at heart there are adventure, wildlife and theme parks, working farms or pony trekking, fishing, canoeing, biking and golf for the more sporting. Follow the M4 west to Jct 49. Take the A48 to Carmarthen then follow the main A40 trunk road towards Cardigan and West Wales Hospital. Continue past hospital then take second exit at roundabout, joining A484. Continue heading for Cardigan. After approximately 35 minutes (21 miles) you arrive at the Village of Cenarth. At the centre of the village, before the bridge and Post Office turn left onto the B4332. Continue for 1 mile climbing hill past the Forestry Commission on left, continue 150m arriving at Penlan on the right. Follow the A487 to Cardigan. Take the A484 to Cenarth (approx 7 miles), crossing the River Teifi take the first road on the right after the bridge, the B4332, signed to Boncath. Continue for 1 mile climbing the hill past the Forestry Commission on the left, continue 150m arriving at Penlan on the right. Take A487 signposted Cardigan. At Cardigan take 2nd exit at roundabout following the byepass over the River Teifi to a second roundabout. Take the third exit joining the A484, signposted to Cenarth and Newcastle Emlyn. At Cenarth, cross over the bridge and take first turning on right, signed to Boncath. Continue for 1 mile climbing a hill past the Forestry Commission on left, continue 150m arriving at Penlan on the right. We are committed to making our facilities and services as accessible as possible to all. Penlan Holiday Village is holiday park of 92 holiday lodges sensitively located within 23 acres of picturesque woodland and parkland. For the benefit of our lodge owners and their guests, we also offer a central facilities building with clubhouse, swimming pool, launderette and the Reception building, incorporating a games room and site shop. We provide below access and accommodation details, but if there are any aspects not covered below, please do contact the site office and we would be pleased to provided further information. Penlan Lodges Penlan lodges have 2/3 steps, but we have two units with ramp access, although there is a door threshold of approximately 70mm in each property. External doors have a clear opening of at least 82cm. Internal doors are of a standard design with a clear opening of approximately 75cm. Televisions are available in all of our holiday lodges with a minimum of 50cm (20 inch) screen. Remote controls are available for most televisions. All lodges have parking adjacent, or nearby. Refuse bins are of the larger 1100 litre, lift top wheelie bin type and are situated at various points around the park. Collection from accommodation can be pre-arranged if required. 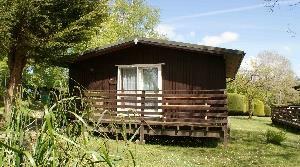 The holiday lodges for hire at Penlan do not have special adaptations for the use of persons with disability, but our bookings office should be able to assist you in choosing the most suitable lodge layout and location to meet with your requirements. The Holiday Village Assistance dogs are very welcome and there is a dog walk path for their exercising within the Park. The Park is not level in nature, but on a gentle slope. The majority of roadways are tarmac with some graveled parking areas. All roadways also serve as pedestrian pathways, but speed restrictions apply for all vehicles for the safety of pedestrians. There are occasional speed ramps. Lodge footpaths are of tarmac or concrete slab construction . Public transport directly past Penlan is not available, but a bus stop is located within Cenarth, 1 mile from the village. Bus services run between Carmarthen and Cardigan about every two hours. Taxis can be arranged for your convenience via reception. The Reception and Clubhouse building are of single storey construction with ramp access. There is a low door threshold of 40mm to the clubhouse. There is ample parking within the central facility area. The outdoor swimming pool has a gated entrance with a security code (available to adult only). There is a ramp access to the pool surround. Access to the pool is by 4 shallow steps with no handrail. The pool depth is between 80cm and 145cm and the depths are indicated by signage. There is no lift or hoist. Changing facilities are not provided at the poolside. The pool is heated to 76 degrees centigrade while open, between the Whitsun holidays in May to mid September. There is a small convenience shop located at Reception, but the Post Office and supermarket in Cenarth offer an extensive range of provisions. Street lighting is installed around the park. The launderette is open 24 hours offering self-service top loading washing machines and front-loading dryers. There is one step, but a mobile ramp is available, please see a member of our reception staff who will assist you. Internet services are available via a desktop within the coffee lounge. A public telephone is available outside the main facility building. Mobile phone networks have patchy coverage at Penlan, with Orange and Vodaphone benefiting from a stronger signal. Wheelchairs are available (with a charity donation) from the Red Cross office at Cardigan Hospital. There is a mobility shop at Cardigan, 8 miles from Penlan. General Information For help outside of office hours call the Reception on 01239 710174, for 24 hour assistance. We would be happy to offer alternative means of assisting you with information and requests on or prior to arrival. Should you re quire any further assistance at any time during your stay with us, please ask any member of staff and they will do their utmost to help. We would also welcome any comments from you on how we may be able to improve our Park to ensure a relaxed and happy environment for all of our guests.